My Family Fun - Thomas And Friends Lunch Kit It's a time for lunch! Beautiful Thomas the Tank lunch bag! It's a time for lunch! 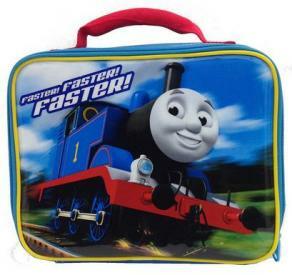 Beautiful Thomas the Tank lunch bag! This Thomas & Friends Boy's Lunch Kit features a full front graphic of Thomas the Tank Engine as he speeds along the tracks!